The aim of this study was to determine the effects of an antibiotic strategy with intravenous (IV) continuous infusion of a β-lactam (CIBL) antibiotic and high-dose extended-interval (HDEI) tobramycin upon outcomes in patients with cystic fibrosis (CF) requiring invasive mechanical ventilation (IMV) for acute respiratory failure. The study was a retrospective review from June 1, 2006, to December 1, 2010, of patients at a university hospital with an adult CF center. The study population included adult CF patients requiring IMV. A total of 15 hospitalizations with IMV episodes were reviewed, involving 10 adult (31.4 ± 11.1 years) CF patients with end-stage lung disease (FEV1 = 23.6 ± 7.8% predicted) and malnutrition (body mass index = 20.5 ± 3.1). Each patient survived to discharge and to follow-up 6 months later without the need for lung transplantation during the study period. 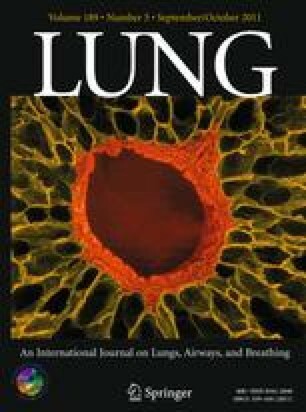 A novel antibiotic strategy with a CIBL antibiotic and HDEI tobramycin improved survival in a small cohort of critically ill CF patients with end-stage lung disease and malnutrition requiring IMV. The authors greatly appreciated the outstanding assistance of Linda Combs in the preparation and development of the manuscript.